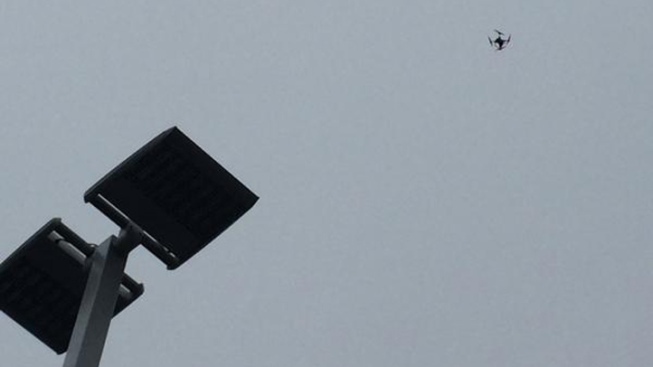 Some 49ers fans got off with a warning after they were caught flying their drone over Levi’s Stadium before Saturday’s game against the Chargers, Santa Clara police confirmed Monday. The airspace over Levi’s Stadium is federally restricted. Officers swarmed the drone’s operators as soon as they spotted them, authorities said. Santa Clara police officers let some 49ers fans who were spotted operating a drone at Levi's Stadium off with just a warning, Saturday, Dec. 22, 2014. The Federal Aviation Administration issued a new alert Monday regarding the “do’s and don’t’s” of flying an unmanned aircraft. The FAA notes anyone caught breaking the rules could face much more than a warning, including big fines.